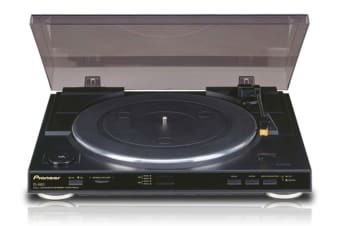 This automatic turntable understands your precious vinyl records the best and also features a modern built-in phono equaliser that lets you connect directly to a line or auxiliary input. 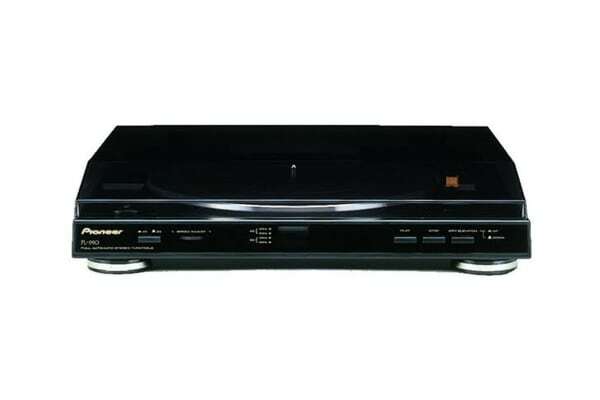 Trust the Pioneer Fully Automatic Turntable to give you the convenience of a modern, fully automated operation while you enjoy music from your classic vinyl records with an amazing clarity. The low-mass straight tone arm, precise DC servo motor and built-in phono equaliser on this turntable work in beautiful harmony to deliver your music just the way you like it. All you need to do is to connect the stereo turntable to an auxiliary/line input on an amplifier or mini system and get ready to transport yourself to another era!